Patchy skin and Patchiness makes you skin complexion look uneven, dull and shallow. Patchy skin is also a sign of skin aging. But it can also be due to various factors like over excessive sun exposure, some diseases, over production of melanin at certain skin places and even hormones as well. Patchiness on the facial skin can make one conscious and embarrassed. it is very important to keep the skin in good condition else the problems can leave us embarrassed. The best ways to deal any skin problems at cheap is by using natural products. Yes, the products that one can get from their kitchens. 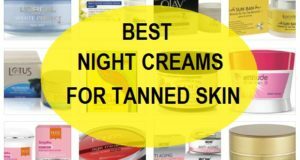 There are certain products which can certainly help reliving the different skin tones on the skin, thus, you get even tone complexion. So, if you wish to cure the patchiness and make the skin even tone then we will share some homemade face packs which will remove the patchiness form face and body skin. These will not only treat the patchy uneven skin but will also cure the skin’s natural texture. Mix 2 teaspoonful of lemon juice along with the ¼ teaspoonful of turmeric powder (haldi). You should take pure turmeric. Make sure that there should not be some other spice in that else it will cause burning on the face. You only need pure turmeric powder. Mix these two in a small bowl. Apply this face pack for treating patchy skin with your finger tips and wait for 20 minutes. Wash after that with plain water. This natural face pack is to be done during the evening time. Please note that this is not for the sensitive skin but good for other skin types. Mix sandalwood powder around 1 teaspoonful with the same amount of multani mitti. Add some rose water and mix these 2. Apply on the face and leave it to get dry. Once it gets dry wash with normal water. This is a facial pack to remove patchy skin for all skin types and great for the humid summers as it has 2 most important and powerful ingredients which soothes and cools the skin in hot weather. This simple home remedy will clear the skin from the dullness and unevenness of facial skin. Mix ½ teaspoonful of turmeric powder with some milk. Massage the facial skin and other areas that are patchy with this lotion. Leave for overnight and do this 3 times in a week. This face pack is meant to decrease the darkness and patchy skin. Milk provides nourishment while turmeric will reduce the unevenness of skin color. It makes skin of one color and skin looks radiant. Milk also have good fats which makes the skin super soft. This is ideal to treat patchy skin areas on face and body. Turmeric has anti septic properties therefore any skin problem that you have like acne, pimple etc will also be healed with that. 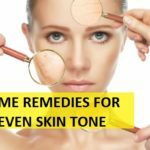 Here are some home remedies that will reduce the patchiness from face and will make your face all in one color. 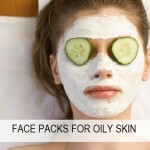 These face packs will improve the dull skin complexion thus you get beautiful facial skin. Oatmeal is a soft grain that is wonderful for health conscious people, so, if you wish to fade the patches on the skin then this can be tried. Take 2 teaspoonful of oats and put these in milk. Milk is ideal for oatmeal as this will soak, soften and make them fluffy. To these soften oatmeal, you need to add 1 pinch of turmeric powder which is good for skin complexion. Mix these two well using a clean spoon. Thereafter, apply this on the face and leave this to get dry for 30 minutes. This much time is enough for this remedy to show changes faster. Wash the face with mild water. Repeat this after 2 days. Mint is a refreshing herb that we use in our dishes to give taste and aroma. These leaves can also be used to get rid of the patchy skin and to get a brighten complexion. Moreover, this will also give your skin a new feel from dullness and lifelessness. To use mint, take 7-8 mint leaves and then crush or grind them with water. Basically, we need the mint paste. Apply this paste using clean fingers all across the patchy areas on your face and your body as well. After this gets dry, you can wash the face and pat dry. Yoghurt or commonly known as curd is a good source of milk proteins and an enzyme called lactic acid. This is very milk but has valuable results on the skin. 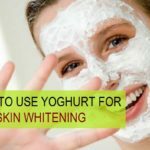 You can get skin whitening with yoghurt packs plus this will also help you get rid of the dark spots and patchy skin. Just take 2 teaspoonful of curd or fresh yoghurt and then add 2 pinches of turmeric powder in it. At times turmeric is mixed with some other herbs and spices, therefore, check if it is pure. Mix the two ingredients with a spoon and then apply evenly on patchy parts of the face. Keep this mask for 45 minutes at least and then wash the face with lukewarm water. You can try this 3 times in a week to fade the patchy spots faster. 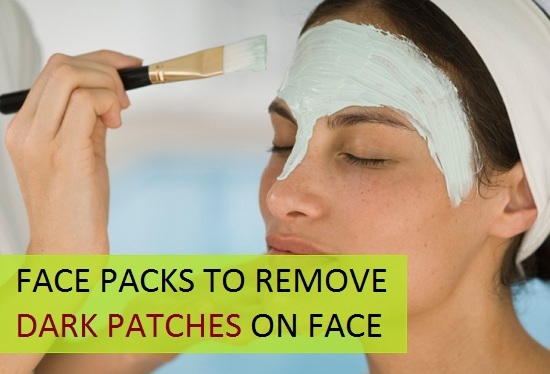 This is how you can remove the patchy skin using homemade face packs and mask. Repeat them as stated and get the maximum benefits. 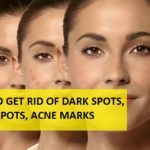 It seems the dark spots, patchy skin is your problem, then don’t forget to read out post on these too. 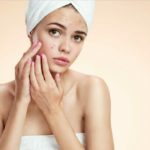 I have patchy dull uneven pimple skin …any home remedies? I have tried dermatologists and cosmotologists but not much use. You can try a face pack by mixing some gram flour with lemon juice. This will lighten the patchiness.